The latest copy from the Eelgrass label is a 2CD set covering the bonus disc from Empress Valley’s The Last Adieu (Empress Valley Supreme Disc EVSD 1050/1055). 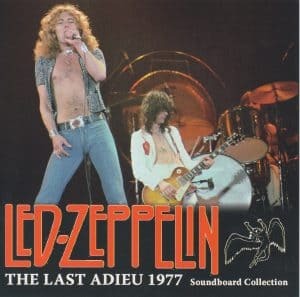 The Last Adieu is their version of the Oakland July 23 & 24, 1977 shows, Led Zeppelin’s final performances in North America. 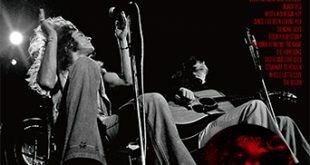 The set came with a 2CD bonus set titled 1977 Soundboard Collection Bonus Disc featuring three soundboard fragments that do not get bootlegged endlessly, as usual Eelgrass has simply copied Empress Valley’s work. The first disc covers the monitor mix from the second show at the Capitol Center in Landover, Maryland. A monitor mix is basically for the band and is what comes through the onstage monitors and helps the band stay in time with each other, that’s why Bonzo is higher in the mix. This fragment first appeared on Strange Tales From The Road (The Godfatherecords G.R. 395), this new version features pretty much the same sound quality but adds a minute to Kashmir, 1:28 of Over The Top and 2:19 from Page’s guitar solo. The sound quality between the two titles is similar, the mastering by Empress Valley is nicely done, just a bit louder with a better frequency range, the upper is not as thin sounding and it has a really nice bottom end. I am in agreement with Gerard’s conclusion of this tape, the playing is merely average and what makes this tape worth having is just to hear a different mix versus the other soundboard recording found on Bringing The House Down (Empress Valley Supreme Disc EVSD 240/241/242) and its copies. 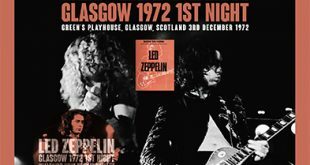 The second disc features the soundboard fragment from the fourth Madison Square Garden concert on June 11, 1977. It is a well balanced and excellent soundboard recording, it has seen many previous releases, Silver Coated Rails (Toasted Condor – 1981), Absence (Wendy 341/342/343), For Badge Holders Only (Balboa BP95007/8/9), Fourth Night In The Garden (Scorpio LZ09033), Polished Performance 1977 (POT 004/5), Un Booted (Tarantura UN-77 1-3), and Strange Tales From The Road (The Godfatherecords G.R. 395). This is a tasty slab of soundboard, the version of No Quarter is exceptional and a really nice and fluent version of Ten Years Gone. The audience is so low in the mix they are barely audible although you can hear a nice ovation for The Battle Of Evermore. Like the Landover material on disc 1, the sound quality on this new release is superior over the Godfather title and for the same reasons, clearer with fuller frequency range. 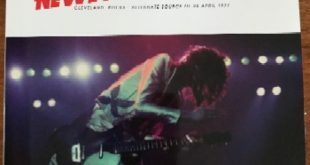 The last track on the second disc is the soundboard fragment of Jimmy’s guitar solo from the famous June 23, 1977 Badgeholders L.A. Forum show. It first appeared on Relic From A Different Age (Wendy WECD 149/150/151) before Empress Valley released it the first time as part of their Magical Sound Boogie (Empress Valley Supreme Disc EVSD 550/551/552 and Bonus 1/2/3) and now on The Last Adieu 1977 Soundboard Collection Bonus Disc. This is my first version of this recording. 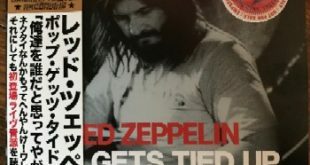 In the 7 to 8 minute area there are several small digital glitches in the recording, based upon comments of the excellent Bootledz website, these glitches are present on the Empress Valley titles and since Eelgrass simply copies EV’s efforts they are here as well. 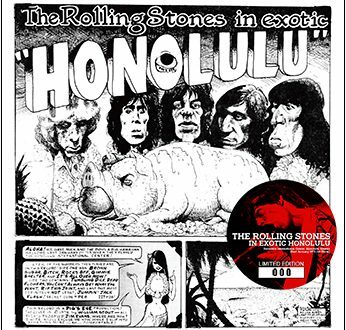 The packaging is generic live shots from the 1977 tour with official looking graphics on inserts housed in a slim line jewel case, the MSG material is essential as the performance is awesome. The monitor mix for me does not get many repeated listenings and the LA Forum material has you wondering if there is more out there. An interesting collection of fragmented material all in one spot, shame about the glitches on the LA material.